What is Online Job Costing Software? Online Job Costing Software is a program that helps you calculate the costs associated with the operation of a company. It includes overhead, employee salaries, and various other expenses. The Job Costing Software here is offered under the SaaS (Software as a Service) model, meaning that the software is web based, hosted on the Cloud and can be accessed when needed through a client or web browser. If you’re looking for similar online software like Job Costing Software, consider our Payroll or Expenses Management Software categories. 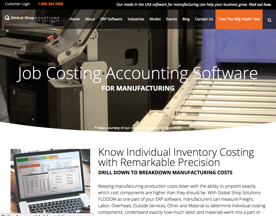 Know individual inventory costing with Global Shop Solutions Job Costing Accounting software. Keep manufacturing production costs down with the ability to pinpoint exactly which costs are higher than they should be. 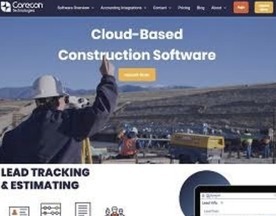 Corecon is a cloud-based construction software suite for estimating, project management, cost control, scheduling and collaboration. Accessible via browser or mobile device, firms will have complete visibility on their job opportunities and projects.